We are thrilled to be working alongside Ashgate Hospicecare (charity no. 700636) and our stockist Green + Benz. 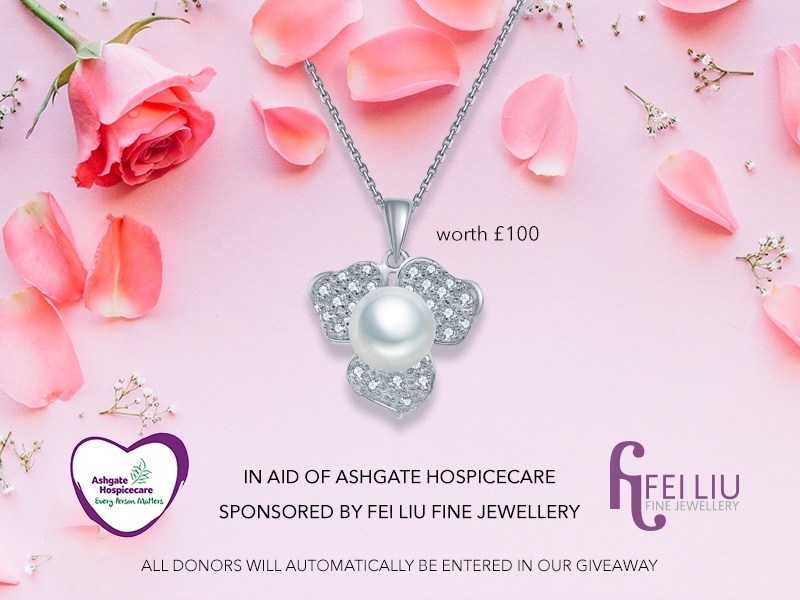 Together we are offering you a chance to win a Fei Liu Fine Jewellery pendant. All we ask is that you kindly donate £2 or £5 – or more, if you’re feeling very generous! – and you will automatically be enter into our lovely giveaway. With your generosity we can raise money to help Ashgate Hospicecare provide families access to hospice care. Click below to our JustGiving page, or read on to learn more about the independent charity. The winner will be announced on the 24th November at Green + Benz Chesterfield store. Who are Ashgate Hospicecare and what do they do? Ashgate Hospicecare is an independent charity (no. 700636) based in Chesterfield that provides care to patients with a life-limiting illness and their families across North Derbyshire. All of their services are provided free of charge. You can follow Caroline’s story in the video below to see how Ashgate Hospicecare aided her and her family. To learn more about Ashgate Hospicecare visit their website. Or, click the link below to visit out Just Giving page.